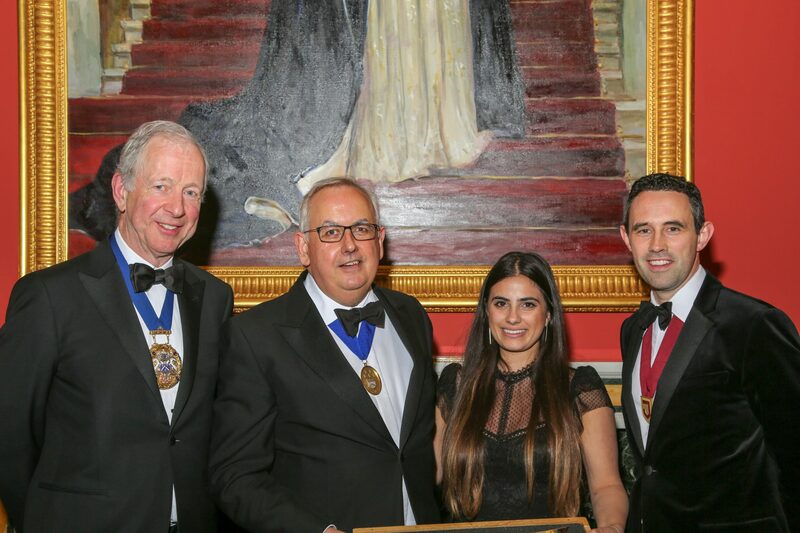 On Monday 30 April, members of the Worshipful Company of Innholders (WCI), Master Innholders (MI), St. Julian Scholars (SJS) and Aspiring Leaders gathered at Drapers’ Hall, London to celebrate the 40th anniversary of the establishment of the Master Innholders. Established by Derek Balls in 1978, the Master Innholders marked the Worshipful Company of Innholders’, which received its first charter from Henry VIII in 1514, first step towards renewing its connections with the hotel industry. The MI membership acknowledges the attainment of the highest standards in hotel management. Guests were welcomed by Nicholas Rettie MI, Master of the Worshipful Company of Innholders; Stuart Bowery MI, Chairman of the Master Innholders; Gareth Banner MI, Chairman of the St Julian Scholars and Dr Hilary Cooke, Aspiring Leaders Diploma course director, before enjoying a glittering champagne reception in Drapers’ Hall’s drawing room. The milestone year has already seen the organisation present its biggest General Managers’ Conference in its 25-year history, welcome six new Master Innholders and enrol 18 young hotel professionals on the Aspiring Leaders Diploma. Applications for the MI Scholarships will open this summer and September will see 30 MIs and Scholars cycle the gruelling 530km journey from London to Reims to raise money for the MI Charitable Trust, which helps fund the MI Scholarships.